When we speak of the eye we generally think of its function as a camera whose sole task is to transmit to man the form, color, and brightness of the environment. The second and equally important function of the eye as a receptor for extravisual photo-stimuli is still generally unknown even today. 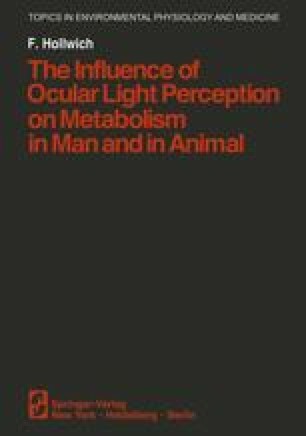 The eye uses light not only as the medium of vision; light entering the eye regulates and stimulates numerous autonomic, i.e., unconscious metabolic and hormonal processes such as sugar balance, water balance, blood count, sexual function and much more, as has been discussed in detail in previous chapters.